If you have opted out of getting an iPhone, deterred by the crappy service and unswayed by useless apps, there is a now an app that might change your mind. This one finds beer, and not just any beer, but Guinness -- rocketing it to the top of the short list of truly useful iPhone apps. The app works with the phone's GPS to point you right at the closest creamy stout, drawing you a map, as it were. And that's not all it does. The Guinness finder also has a tutorial in pouring the perfect pint and a ruler to measure the head -- functions sure to annoy all but the most tolerant of barkeeps. Anyone foolhardy enough to hold the measurement up to his glass showing the bartender that the pour was unsatisfactory will surely by chasing his shiny phone as it sails out the door of the Blarney Stone and skips across the street. Never let it be said that Guinness does not keep its advertising up with the times. 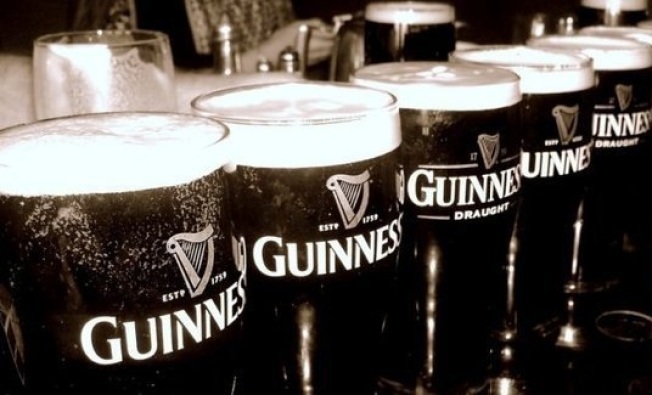 This most useful of applications of technology, which costs just $1.99, comes just in time to celebrate Guinness' signing of a 9,000 year lease on its St. James Gate Brewery in Dublin, which begins on September 24, 2009 and runs through September 24, 11009.